Metabolic Therapies in Orthopedics, Second Edition is a 30 (+) thought-leader collaboration to translate metabolic research into clinic-ready therapies for regenerating the musculoskeletal system from within. 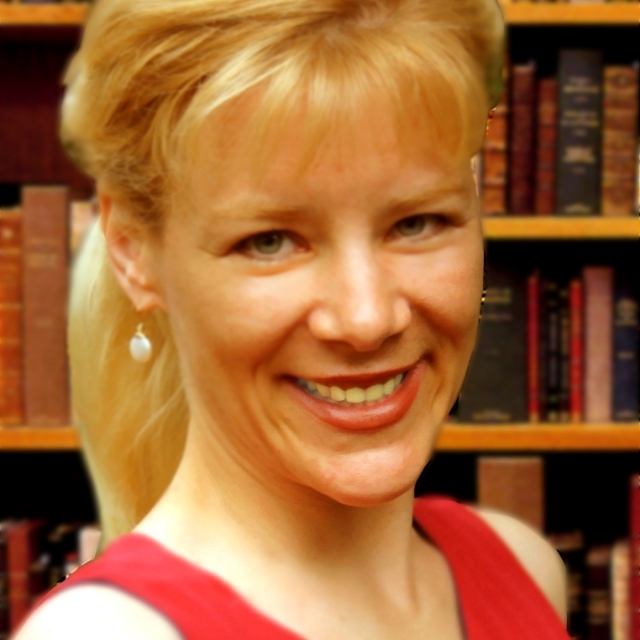 Ingrid Kohlstadt, M.D., M.P.H. is a 1993 physician graduate of Johns Hopkins School of Medicine and is now a faculty associate at Johns Hopkins Bloomberg School of Public Health, Center for Human Nutrition. Board-certified in preventive medicine, Dr. Kohlstadt earned a Master’s Degree in Public Health Epidemiology and an undergraduate degree in biochemistry. She is a Fellow of the American College of Nutrition and a Fellow of the American College of Preventive Medicine. Dr. Kohlstadt specializes in optimizing the body’s metabolism for complete and lasting healing. On this topic she conducts research and lectures at Johns Hopkins University; consults for Gerson Lehrman Group; contributes to TIME and Townsend Letter; and unites thought leaders from around the world by editing two prominent medical references Advancing Medicine with Food and Nutrients (commencing its 3rd edition) and Metabolic Therapies in Orthopedics (now in its 2nd edition). Kenneth Cintron MD, MBA, FAAOS was born and raised in Ponce, Puerto Rico. During his youth days he was an elite baseball player and an outstanding student. He completed his bachelor and medical degree from the University of Puerto Rico with honors. Moved for his interest in sports, he became an orthopedic surgeon and then completed a Foot and Ankle surgery fellowship from Emory University during the Olympic year of 1996. Recently, he obtained an MBA degree from the physician executive program of the University of Tennessee in Knoxville. Dr. Cintron is board certified by the American Academy of Orthopedic Surgeons and has more than 20 years of clinical experience. He has served as a team physician in Puerto Rico and in the US for multiple professional, college and national athletic teams. He has also served in several national and international athletic competitions like Central-American, Pan-American and Olympic Games. He has a special interest and training in wellness, nutrition and non-toxic therapies. His passion for the emerging field of Functional Medicine started nine years ago when her older daughter was diagnosed with type 1 diabetes at 14 years of age. He decided then to join the American Academy of Anti-Aging Medicine and completed a two year fellowship in Functional, Integrative and Regenerative Medicine. His training has helped tremendously his daughter and family to enjoy and optimize their health and lifestyle. He has published and collaborate in multiple scientific articles, studies and international congresses. Dr. Cintron is the only orthopedic surgeon in the country with a double board certification in both Orthopedic Surgery (AAOS) and Integrative Medicine (ABOIM). The medical community has welcomed his visionary concept of applying preventative and nutritional medicine to the field of orthopedics. His experience in Sports medicine and his passion for Regenerative medicine has transformed the way he practices the art of medicine. Dr. Cintron has successfully incorporated into his practice the important concepts of cellular physiology, epigenetics, nutrigenomics, regenerative medicine, hormone balance and metabolic optimization to improve his surgical and non-surgical outcomes and the athletic performance of his patients. Dr. Hanaway is a board-certified family physician with a medical degree from Washington University and residency training at the University of New Mexico. He is the past President of the American Board of Integrative Holistic Medicine and co-founded Family to Family: Your Home for Whole Family Health with my wife in Asheville, NC. As an initiated Marakame (Shaman) by the Huichol people in the Sierra Madres of central Mexico, he incorporates these healing approaches in clinical practice. From 2002-2012, Dr. Hanaway was the Chief Medical Officer at Genova Diagnostics. He has been a core faculty member at the Institute for Functional Medicine (IFM) and served as its Director of Medical Education from 2012-2015. In 2014, Dr. Hanaway accepted the role as the Medical Director of the Center for Functional Medicine at the Cleveland Clinic. He continues to lead research in clinical trials and Value-Based Care (evaluating outcomes and cost) utilizing the Functional Medicine systems-based approach to healing. Teaching around the world on ‘Good Medicine,’ he brings his full presence to teaching clinicians about healing, with an emphasis on therapeutic relationships, connection, community, and wholeness. Hear Dr. Hanaway speak about integrative functional medicine in a candid radio interview with NY Times best-selling author of the Hormone Cure, Dr. Sara Gottfried. In this interview he shares the relationship between our connection with nature, with food, with our gut microbiome, and with our health. You can also Hear a wonderful teaching on Functional Medicine – Seeing The Whole Person from Dr. Hanaway on the ‘Functional Forum’ in 2016. 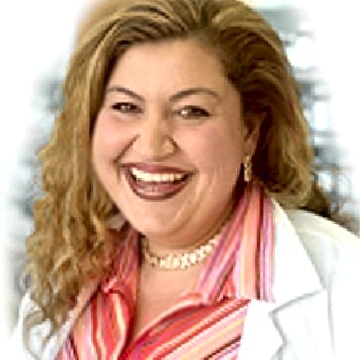 Dr. Diulus received her medical degree from Northeast Ohio Medical University. 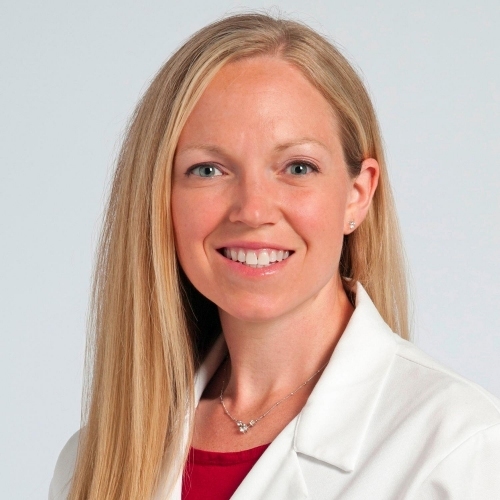 She did three years of residency in anatomic and clinical pathology at Summa Health System in Akron, Ohio, and completed a six-year residency-training program in orthopedic surgery at the Cleveland Clinic in Ohio. She completed a spine fellowship with the SpineCare Medical Group in San Francisco. Today, she is one of just a handful of board-certified female orthopaedic spine surgeons in the country. Dr. Diulus was featured in “Fat, Sick and Nearly Dead 2” a documentary about living in a healthy way in a largely unhealthy world. Within the health and wellness community she combines solid evidence-based medicine with clinical and personal experience to provide a non-judgmental, grounded approach that makes her particularly effective at connecting with and engaging audiences. She also serves on the Medical Advisory Board of Reboot Holdings Pty. Ltd., a socially conscious health and wellness media company. Dr. Diulus is also a recognized leader in healthcare information technology. She is the CEO and founder of Speira Health (formerly C. Diulus, LLC) and a former Senior Clinical Associate for Tres Rios Group and Amati Health. Together these companies align to form a unique team of physicians and business analysts who work with healthcare providers, developers, and investors to identify breakthrough strategies that align healthcare IT initiatives, products and services with enterprise goals and market opportunities. Previously Dr. Diulus served as Medical Director within the Information Technology Division at the Cleveland Clinic from 2011-2014. Additionally Dr. Diulus is a thriving Type 1 diabetic who utilizes a low carbohydrate with specialized insulin strategies both for herself and her diabetic patients to have powerful impact on the management of these conditions. 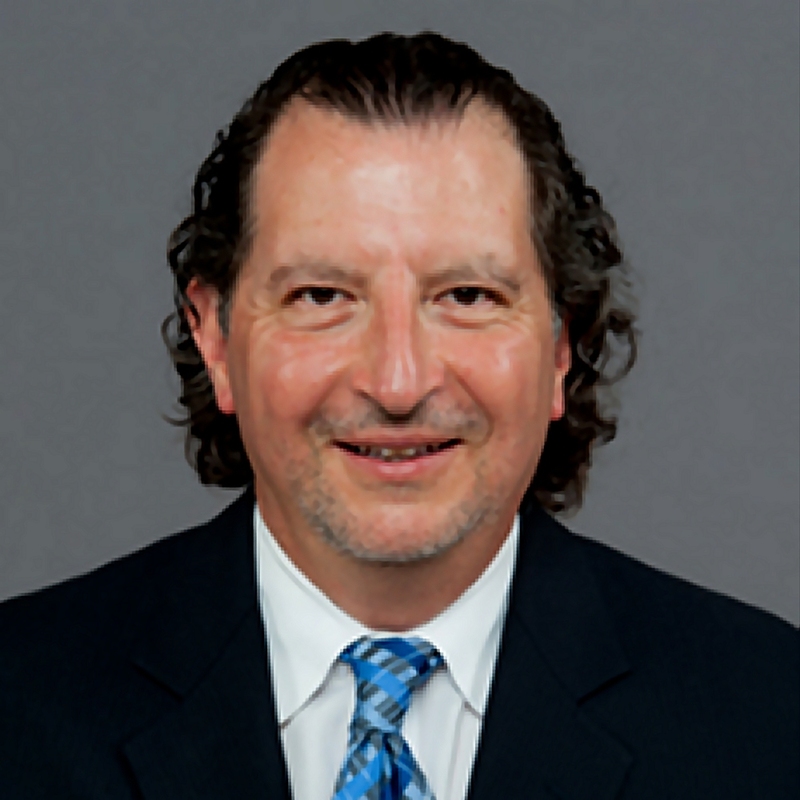 Dr. Diulus has co-authored, textbook chapters, presented at national and international professional meetings, teaches and leads instructional courses for the North American Spine Society, and is on the Ethics Board for the North American Spine Society. She is published in the areas of orthopaedics, lifestyle modification, nutrition, diabetes, healthcare IT, pathology and biomaterials. Her research focuses on reducing the burden of chronic disease and total cost of care along with reducing and improving comorbidities while improving outcomes in orthopaedic and spine patients. Dr. Fullerton obtained his MD from The University of Texas Southwestern Medical School in Dallas and PM&R residency at Graduate Hospital/University of Pennsylvania in Philadelphia. 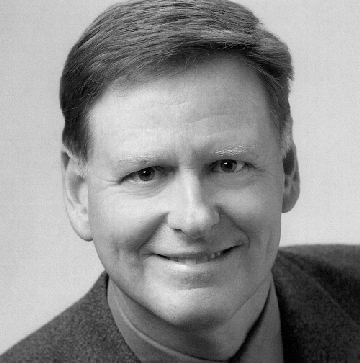 He has been in a primarily musculoskeletal private practice in Austin, TX since 1997 while pursuing varied interests such as starting Austin’s first neuromuscular pulmonary clinic, serving 12 years as medical director for the pediatric spasticity clinic at Dell Children’s Medical Center and research opportunities/training with University of Pittsburgh and University of Wisconsin, Madison. Dr. Fullerton began training in regenerative injection (prolotherapy) in 1999 and in musculoskeletal ultrasonography in 2001. He is a published author in these fields and has presented nationally and internationally on these topics, including at the American Academy of PMR, Argentine Association of PMR, University of Wisconsin, American Association of Orthopaedic Medicine, Texas Medical Association, University of Pittsburgh, Walter Reed Army Medical Center and the National Institute of Health. He is past president of the Texas PMR Society and current president of the American Association of Orthopaedic Medicine. Dr. Fullerton’s primary research interests now focus on the clinical application of Biotensegrity concepts in physical examination, ultrasonography and regenerative injection. 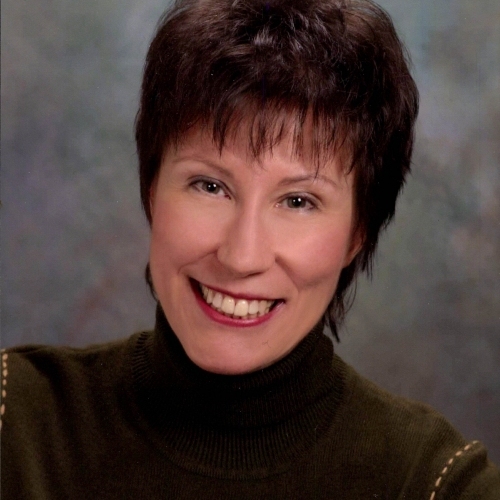 Dr. Roberta Kline is a physician, author, teacher and entrepreneur who is passionate about empowering others with the knowledge and tools they need to create health of mind, body and spirit. Board-certified in Ob-Gyn, and an expert in functional medicine, genomics, and multiple healing modalities, she actively shares her knowledge and vision with others through teaching, collaboration, and speaking. Her interest in nutrition as part of health is longstanding. Recognizing the need for nutrition instruction to physicians, while in medical school she created the foundation for a nutrition course that was subsequently integrated into the curriculum. Dr. Kline was the recipient of awards for surgical excellence and outstanding research during residency at Wright Patterson AFB. During her 7 years of active duty in the US Air Force, she earned awards for outstanding service and innovative programs to improve the health of the community. After more than 10 years in private practice, she left traditional medicine to create an innovative women’s health practice based on functional and energy medicine. As she incorporated functional genomics, realized the power of this combination to transform personalized medicine. As an Assistant Clinical Professor at the University of New England College of Osteopathic Medicine, Dr. Kline was part of a select team that created a functional medicine didactic curriculum for a new Family Practice residency program, the first program in the U.S. to offer this at the outset. She also created and taught the Functional & Genomic Medicine module for master’s degree students as a Guest Faculty Instructor for The Graduate Institute. Pursuing her passion for advancing personalized genomic medicine, Dr. Kline co-founded Genomic Solutions Now and NCG Health Solutions with Dr. Joe Veltmann. She and Dr. Veltmann have recently merged these two companies, and Dr. Kline is currently CEO of Genoma International. Here they provide comprehensive and clinically relevant genomic testing to clinicians, plus training and certification programs that teach clinicians how to create successful practices using personalized genomic medicine and nutrition within a holistic health model. Dr. Kline maintains a private practice with Dr. Veltmann, the GENESIS Center for Personalized Health, consulting with people around the world who want to use their DNA blueprint to get and stay healthy. Dr Kline’s vision is a future in which collaborative, personalized genomic medicine within a holistic health model is the standard of care. Frederick T. Sutter, M.D., M.B.A. is a sports medicine physician and board-certified specialist in Physical Medicine and Rehabilitation (also referred to as Physiatry). As a Physiatrist he employs non-surgical modalities to diagnose and treat orthopedic conditions and injuries. A dedicated advocate for wellness and preventive medicine, Dr. Sutter integrates traditional musculoskeletal medicine and exercise with nutritional and other lifestyle medicine approaches with his treatment programs. He is a sought after speaker on many topics including: nutrition, weight loss, musculoskeletal medicine, natural pain management interventions and nutritional supplements. He is also a member of the Heel, Inc. speakers’ bureau and conducts several training and clinical roundtable events annually, including several international medical conferences and local events throughout the U.S. He has studied in Germany and is the only certified Biopuncture trainer in the US. Locally, Dr. Sutter has provided educational seminars at his office for over 15 years and has been a featured speaker with Docs Talks and the yearly Youth Sports Injury Conference at Anne Arundel Medical Center. An athlete himself, Dr. Sutter is the ’06 Masters World Singles Rowing Champion and a former National Elite Sculls Champion. He is a published author in the medical text book Advancing Medicine with Food and Nutrients, now in its second edition, with his chapter “Surgery: Nutrient Therapy to Optimize Outcomes”. He has created the business Lifestyle Medicine Consultants, Inc. to share his expertise with physicians and other healthcare professionals in the science-based integration of lifestyle medicine principles into their practices, with a particular focus on pain management. With his knowledge and vision, Dr. Sutter extends the scientific principles of Lifestyle Medicine and optimum nutrition to his patients, safely guiding them towards higher levels of fitness, true healing and lasting good health. Pamela Wartian Smith, M.D., MPH, MS spent her first twenty years of practice as an emergency room physician with the Detroit Medical Center and then the next eighteen years as an Anti-Aging/Metabolic Medicine specialist. She is a diplomat of the Board of the American Academy of Anti-Aging Physicians and is an internationally known speaker and author on the subject of Functional and Personalized Medicine. She also holds a Master’s in Public Health Degree along with a Master’s Degree in Metabolic and Nutritional Medicine. She has been featured on CNN,PBS, and many other television networks, has been interviewed in numerous consumer magazines, and has hosted two of her own radio shows. She is a regular contributor for Fox News Radio. Dr. Smith is currently the Director of the Center for Personalized Medicine and the founder of The Fellowship in Anti-Aging, Regenerative, and Functional Medicine. 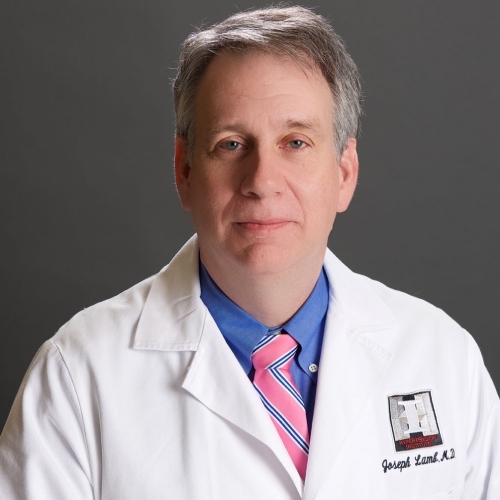 Dr. Smith is also the co-director of the Master’s Program in Metabolic and Nutritional Medicine at the Morsani College of Medicine, University of South Florida. She is the author of the best-selling books, “HRT: The Answers,” “Vitamins Hype or Hope,” “Demystifying Weight Loss,” “What You Must Know About Vitamins, Minerals, Herbs &amp; More,” “What You Must Know about Women’s Hormones, “Why You Can’t Lose Weight.,” and “What You Must Know About Memory Loss and How You Can Stop It,” and “What You Must Know About Thyroid Disorders.” Her newest book: “What You Must Know About Allergy Relief,” of which she is the co-author, has just been released. Joe R. Veltmann PhD FAAIM DCCN Dr. Joe Veltmann is a scientist, healthcare practitioner, expert in genomic testing and interpretation, author, teacher and innovator. 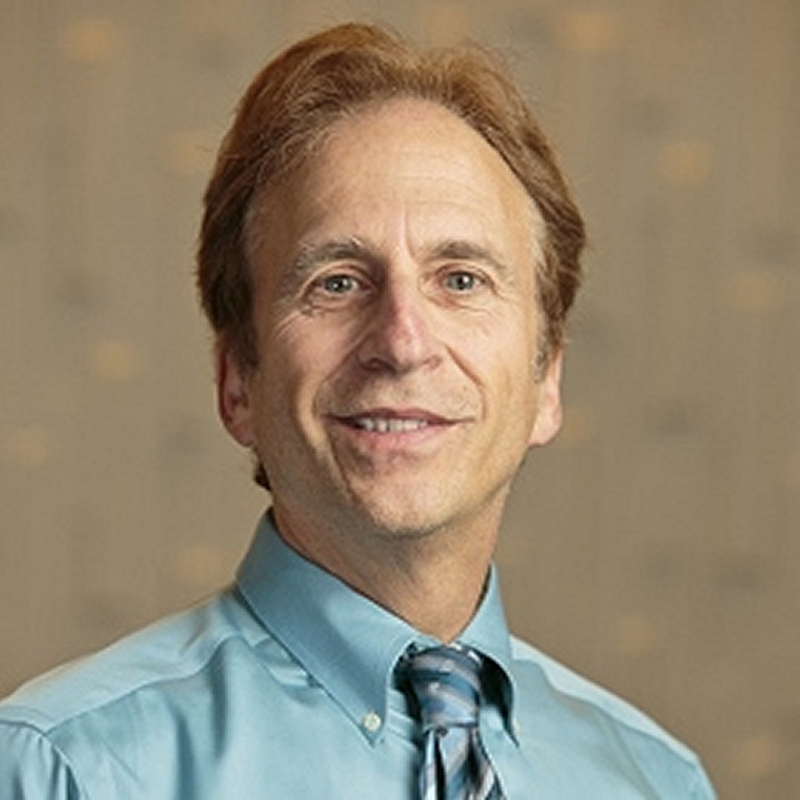 With over thirty years of experience as a researcher, and nutritional, functional and integrative medicine practitioner, Dr. Joe has made a career of translating lab results into practical clinical applications for patients around the world. Using the GENESIS Matrix™ holistic health model he created, exploring the interactions between seven variables to create better preventive health strategies, he added genomic testing and interpretation in 2001 to explore and uncover predispositions for chronic diseases and cancer long before symptoms appeared. This approach led to improved patient outcomes not only in his own practice, but also in a corporate wellness program, where significant cost savings were realized. Using personalized genomic medicine within a comprehensive model, he achieved 20% yearly cost savings for four years for a self-insured company, along with improved health and disease prevention for its members. He created and taught nutrition science programs to graduate students while an Assistant Professor at Texas A&M University. Author of more than 30 published scientific papers that have been cited hundreds of times, Dr. Veltmann continues to contribute to the knowledge of other scientists and clinicians. He regularly presents informative webinars educating healthcare professionals and the general public about the benefits of genomics in the prevention and treatment of cancer and other chronic diseases. He has also presented at numerous conferences and has been an invited keynote speaker on nutrition, integrative health, and genomics. Previously Co-founder and Chief Science Officer for Genomic Solutions Now and NCG Health Solutions, Dr. Veltmann is now Co-founder and Chief Science Officer for Genoma International. He and Dr. Kline also have a clinical consulting practice, the GENESIS Center for Personalized Health. 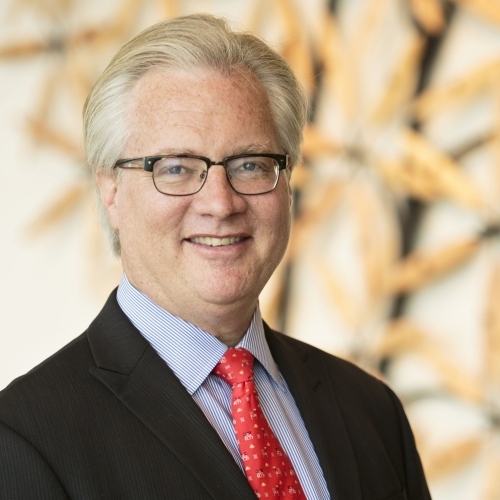 He envisions creating a world where medicine is a cooperative effort between healthcare professionals and their patients to leverage the results of genomic testing and interpretation, functional diagnostic testing and a person’s own biography to create a personalized, patient-centered environment in the prevention and treatment of chronic illnesses. SAHAR SWIDAN, PHARM.D., BCPS, ABAAHP, FAARM Dr. Sahar Swidan obtained her Doctor of Pharmacy degree from the University of Michigan and then she completed a 3 year research fellowship in Bio-Pharmaceutics at the University of Michigan. She previously was the Director of Pharmacy at Chelsea Community Hospital and the clinical pharmacist for the inpatient head and chronic pain service. 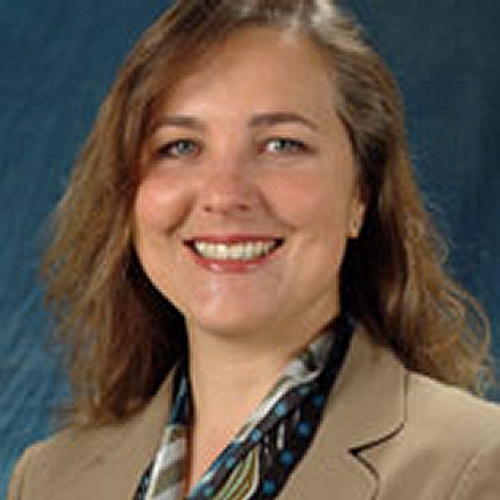 Currently she is President & CEO of Pharmacy Solutions in Ann Arbor, MI which is a unique, personal and educational specialty pharmacy and Adjunct Clinical Associate Professor of Pharmacy at the University of Michigan, College of Pharmacy. 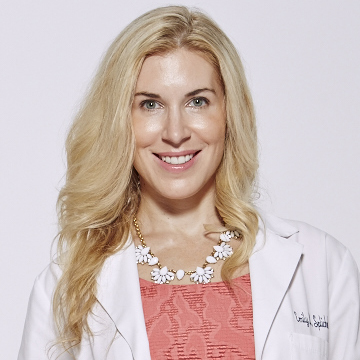 Dr. Swidan is board certified and advanced fellow in anti-aging and regenerative medicine. 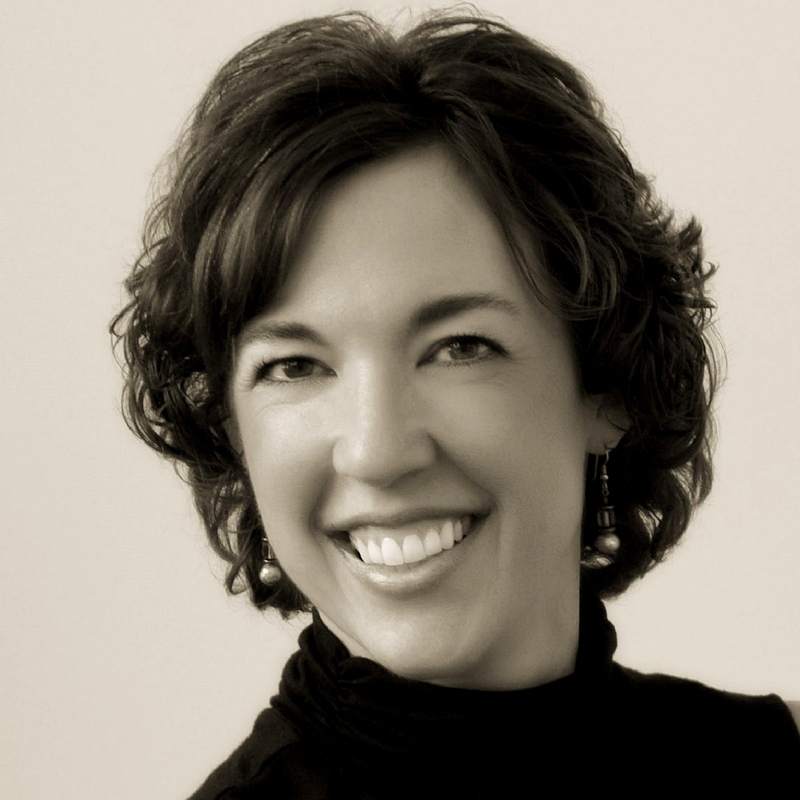 Dr. Swidan is an internationally known speaker in the area of pain management and BHRT and she has authored several books, articles and patient education material in the area of pain management and anti-aging medicine. Currently, she is completing a Master’s in the cardio-metabolic and functional medicine. During his fellowship at Case Western Reserve Hospital in Cleveland, Dr. Boden trained with one of the founding fathers of modern spine surgery, Dr. Henry Bohlman. 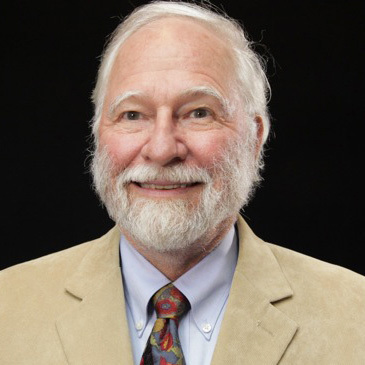 A primary original researcher on bone growth factor development and spine fusion technology, Dr. Boden is also an internationally renowned lecturer and teacher and the driving force behind the Emory Orthopedics and Spine Hospital (EUOSH). As a Podiatrist, Human Movement Specialist and Global Leader in Barefoot Science and Rehabilitation, Dr. Splichal has developed a keen eye for movement dysfunction and neuromuscular control during gait. With the advancement of 3-D kinematics and surface EMG, Dr. Splichal is able to take her assessment skills to a higher level which allows for more detailed rehabilitation programming. Originally trained as a surgeon through Beth Israel Medical Center in New York, NY and Mt Vernon Hospital in Mt Vernon, NY Dr. Splichal has a deep appreciation for the role of surgical intervention as it relates to orthopedic pathology and often offers an unbiased second opinion on the appropriateness of surgical recommendations. Functional and regenerative medicine and the role of anti-aging science as it relates to movement longevity is where Dr. Splichal's passion is focused. Currently enrolled in a Fellowship for Anti-Aging and Regenerative Medicine from the American Academy of Anti-Aging Medicine (A4M) Dr. Splichal offers prolotherapy, stem cell therapy, whole body vibration, Class IV lasers, dry needling, acupuncture and vitamin supplementation as an integral part of her treatment protocol. If you are seeking answers outside of conventional recommendations of orthotics and surgery Dr. Splichal may be able to offer you an innovative, comprehensive treatment option. Visit www.DrEmilySplichal.com for more information about Dr. Splichal's integrative podiatry practice. Dr. Joseph Lamb is dually board certified in Internal Medicine and Holistic and Integrative Medicine. He has been practicing medicine since 1989 and is a founding Diplomate of the American Board of Holistic and Integrative Medicine. In 2013, he achieved his certification as an Institute for Functional Medicine Practitioner. He is a renowned teacher, speaker and author on integrative approaches for cardio -metabolic disorders, diabetes, obesity, osteoporosis, auto immune disorders, chronic fatigue, fibromyalgia and optimal wellness. Dr. Lamb utilizes lifestyle modification, herbal and nutritional therapies and cognitive therapy to address chronic disorders and to promote health aging. Dr. Lamb says “health is so much more than the simple absence of disease. In our journey together, through illness and disease to optimal wellness, lifestyle modification can be a most potent opportunity to achieve the patient’s goals. Dr. Jamie Baum is an Assistant Professor of Nutrition in the Department of Food Science Center for Human Nutrition at the University of Arkansas. 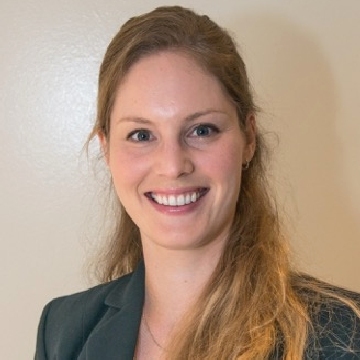 Dr. Baum received her Bachelor’s degree in Dietetics and PhD in Nutritional Science from the University of Illinois at Urbana-Champaign and completed a postdoc in Cellular & Molecular Physiology at the Penn State College of Medicine in Hershey, Pennsylvania. After her postdoc, Dr. Baum worked as a project leader and nutrition scientist at Unilever in Rotterdam, Netherlands for 2 years. Then she moved to Danone Baby Nutrition in Schiphol, Netherlands where she worked as a nutrition scientist and claims substantiation manager for 2.5 years. Dr. Baum started working at the University of Arkansas in 2011. Dr. Baum’s research addresses basic and applied research challenges related to dietary protein intake (e.g. protein source, quality, and quantity) and its impact on body composition, energy metabolism, and metabolic health using a molecule-to-man approach. Dr. Brown is one of the most uniquely trained integrated pain, musculoskeletal, and orthopedic medicine practitioners in the US. Dr. Brown currently practices in both California and Washington. In collaboration with Cell Particle Technologies, LLC he offers some of the most sophisticated stem cell technology currently available in the US. He is a uniquely trained physician, and has a background in biomechanics and manual medicine, having trained in both chiropractic and osteopathic manual therapies. Dr. Brown utilizes his skill in these areas in his physical examinations and biomechanical assessments. 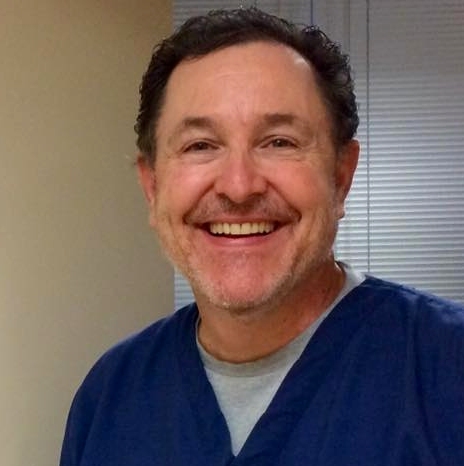 As a physician with subspecialty training in rehabilitative medicine and fellowship training in interventional pain medicine he utilizes the technology of advanced diagnostic imaging, fluoroscopy, ultrasonography, electrodiagnostic medicine, and other technologies to reach a precise diagnosis. Dr. Brown relies heavily on ultrasound imaging. This provides real-time imaging for the evaluation of ligaments, muscles, tendons, and cartilage. With an accurate diagnosis, a definitive therapeutic intervention can be implemented. 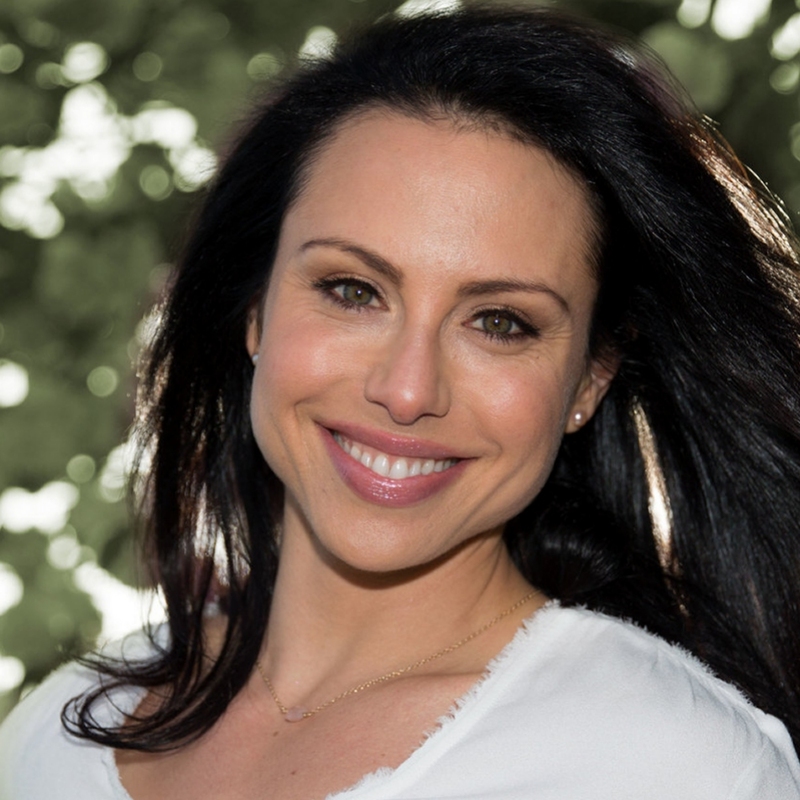 Dr. Gabrielle Lyon is an Osteopathic physician who specializes in cognition, healthy aging and weight loss. She brings truly integrated education to her approach, having completed a residency in Family Medicine in Long Island and a combined research fellowship in Nutritional Science and Geriatrics at Washington University in St. Louis, with additional training in Psychiatry, as well as Human Nutrition and Metabolism. Offering a cutting-edge focus on the interface between memory, brain health and obesity, Dr. Lyon is a regular speaker for The Institute for Functional Medicine. In private sessions, she emphasizes body composition optimization through muscle health and protein metabolism, so whether you are in search of lasting weight-loss or a higher level of athletic performance, you become equipped with a detailed plan for healthy and effective body change. Michael Hamblin is a Principal Investigator at the Wellman Center for Photomedicine at Massachusetts General Hospital, an Associate Professor of Dermatology at Harvard Medical School and a member of the Affiliated Faculty of Harvard-MIT Division of Health Science and Technology. He was trained as a synthetic organic chemist and received his PhD from Trent University in England. 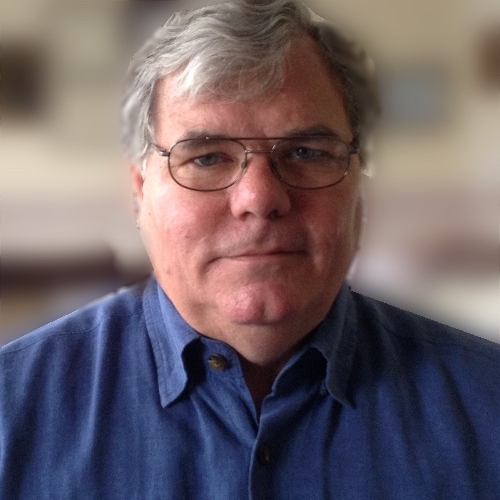 He joined Wellman Labs in 1994. He worked initially in targeted photodynamic therapy (PDT) and prepared and studied conjugates between photosensitizers and antibodies or targeted proteins and polymers of varying charge. 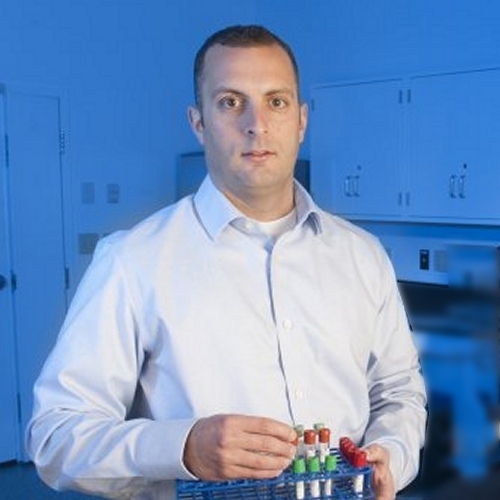 His research interests are now broadly in the area of phototherapy for multiple diseases. One focus is the study of new photosensitizers for infections, cancer, and heart disease. A specialty of the Hamblin lab is the development of new animal models for testing PDT approaches. The study of how PDT can activate the host immune system to attack advanced cancer is a new direction in the Hamblin lab. A second focus is low-level light therapy (LLLT) or photobiomodulation for wound healing, arthritis, traumatic brain injury, psychiatric disorders, and hair regrowth. Dr. Hamblin has published over 289 peer-reviewed articles, over 150 conference proceedings, book chapters and international abstracts, and he holds eight patents. He has edited the most recent and comprehensive textbook on PDT entitled "Advances in Photodynamic Therapy: Basic, Translational and Clinical". He also co-edited a book entitled "Photodynamic Inactivation of Microbial Pathogens: Medical and Environmental Applications", an authoritative and comprehensive textbook entitled "Handbook of Photomedicine" with 70 chapters and 800 pages, a textbook entitled "Applications of Nanoscience in Photomedicine" and another comprehensive handbook called "Handbook of Low Level Laser (Light) Therapy" is in press. Four other textbooks are in progress. Dr. Hamblin has developed an interest in elucidating the basic molecular and cellular mechanisms of LLLT, and for the past eleven years has chaired an annual conference at SPIE formerly entitled "Mechanisms for Low Level Light Therapy" and now called "Mechanisms for Photobiomodulation" and has co-edited the 11 Proceedings of SPIE volumes associated with these conferences. He is Associate Editor of 7 International Journals including Photochemistry and Photobiology, PLoS ONE, Photodiagnosis and Photodynamic Therapy and Journal of Nanomedicine and Nanotechnology. He is on the editorial boards of a further 15 journals and has peer-reviewed for a total of 165 journals. He has served on numerous study sections and grant-reviewing panels and is on the scientific advisory boards of several companies. Research Interests Photodynamic therapy (PDT) is a relatively new and exciting approach for treating cancers, infections and other diseases. Non-toxic dyes known as photosensitizers are administered systemically, locally or topically and accumulate in the tumor or other lesion. Illumination with (otherwise harmless) visible (usually red light, frequently from a laser) excites the sensitizer, which in the presence of oxygen, produces reactive oxygen species that mediate cytotoxic effects. Undesirable cells such as infectious microbial cells or malignant cancer cells can be selectively killed by this approach. Dr Hamblin’s lab has set up collaborations with several chemistry groups that provide novel photosensitizers for testing both in vitro and in vivo such as bacteriochlorins, functionalized fullerenes and synthetic dyes. In recent years the Hamblin lab has developed an interest in elucidating the photochemical mechanisms that operate during PDT, focusing on the difference between Type I (hydroxyl radicals) and Type II (singlet oxygen) pathways and the factors that govern the balance between them. Low-level light therapy (LLLT) (light alone, no photosensitizer) can stimulate healing, prevent tissue death and relieve pain and inflammation. The molecular and cellular mechanisms that underlie this effect are under investigation. We believe that reactive oxygen species are also involved and cause activation of redox sensitive transcription factors. Stem cells are particularly susceptible to the effects of light and can be induced to differentiate and proliferate. Light-sensitive ion channels are another possible cellular pathway. Applications of LLLT to healing and treatment of traumatic brain injury are being studied. Results from these studies have suggested that transcranial near-infrared (NIR) light may have wide applications to a diverse range of brain disorders, including stroke, neurodegenerative diseases such as Alzheimer’s and Parkinson’s, psychiatric disorders such as depression, anxiety, PTSD, autism, and addiction. Anti-tumor immune response occurs after PDT in some small animal models of cancer. We are studying the complex interplay between factors such as the tumor type and whether it contains a recognizable antigen, the strain of mouse and its population of host suppressor cells, the type of PDT and the acute inflammatory response it causes. Combination of PDT with certain immunostimulants can produce highly synergistic benefits including regression of distant untreated tumors. 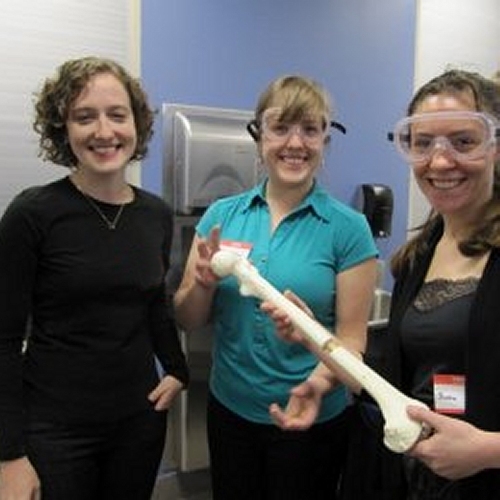 Wound healing and infectious disease is being studied in animal models. The use of optical imaging of infections caused by genetically engineered bioluminescent and fluorescent microbes allows testing of PDT and other antimicrobial therapies in real time. Wound healing can be stimulated by both PDT and light alone and mechanistic and animal studies are underway. We have also used our unique animal models to test antimicrobial wound dressings such as chitosan acetate bandage and Hydrofera Blue. A broad range of antimicrobial light based therapies is being investigated including PDT, ultraviolet C and blue light in the range of 405-nm. These are being extensively studied in animal models of localized infection motivated by the widespread and inexorable rise in multi-antibiotic resistance amongst a range of pathogens. Blue light has been tested in clinical trials for H. pylori infection. Atherosclerotic vulnerable plaque may be detected and treated using a novel dual-purpose “seek and destroy” approach to be able to detect macrophage-rich plaques by use of an intra-arterial fluorescence catheter, and to potentially treat them by intravascular PDT. It is based on the targeting of macrophage scavenger receptors using a conjugate between modified albumin and chlorine(e6). Dr. Russell M. Jaffe, worked at the National Institutes of Health (NIH) from 1973 to 1979 where the seeds of his vision began. On leaving NIH Dr. Jaffe began a journey that sought to support the emerging field of Integrative and Regenerative Medicine. His dedication to the application of primary prevention and his commitment to providing superior nutraceuticals and autoimmune testing with clinical evidence of superior efficacy has made him a sought after speaker and leader in his chosen field. In 1984 after, five years of research, Dr. Jaffe invented a process that would eventually lead him to the family of companies he runs today. This innovation’s primary effort was to create a technology platform for measuring and monitoring all delayed allergies in the world’s first single step amplified (ELISA) procedure. When accomplished it was the first performed in a living cell through an advanced culture technique (ACT). Today with over 50,000 cases in the lab database it remains a vibrant part of Dr. Jaffe’s integrated operations. Expanding to Reston, then to Sterling and now to a custom built headquarters and warehouse in Ashburn, Virginia, Dr. Jaffe is continuously expanding and seeking new ways to improve his existing operations while maintaining his production lab, ELISA/ACT® Biotechnologies, his PERQUE nutraceutical plant, and an R&D facility, RMJ Holdings Rx. Dr. Jaffe and his team of highly trained professionals continually look for new ways to help speed the transition from our current healthcare system’s symptom reactive model to a more functionally integrated, effective and compassionate system. PIH is the turnkey outcome of years of Dr. Jaffe’s scientific research. It brings to market two decades of rethinking safer more effective, novel and proprietary dietary supplements, supplement delivery systems, diagnostic testing, and validation studies. In pilot clinical outcomes studies The Alkaline Way Program, utilizing LRA by ELISA/ACT tests for delayed hypersensitivities along with PERQUE supplementation to remove repair deficits, has been confirmed to achieve improvements in common conditions such as diabetes, fibromyalgia muscle pain, and chronic fatigue syndrome (CFIDS). Today, the company creates integrated systems that implement assessment protocols and tools that combine information technology with advanced products for enhanced understanding, compliance and monitoring outcomes. From his humble beginnings in 1984 to today, Dr. Jaffe and his team have steadily moved forward and produced a volume of evidence-based work that has profoundly enhanced functional human nutrition, integrative medicine and proactive preventive healthcare models. James P. McClung, Ph.D., is a nutrition biologist in the Military Nutrition Division at the United States Army Research Institute of Environmental Medicine (USARIEM) in Natick, Massachusetts. Dr. McClung’s past and current research focuses on micronutrient nutrition at both the basic and applied levels. He has expertise in the areas of iron, selenium, and zinc nutrition. Ongoing experiments in his laboratory include studies investigating the impact of poor iron status on bone health and skeletal muscle function in both humans and animals. These experiments include analysis of the impact of iron status on function at the whole body, tissue, and molecular level. One project in Dr. McClung’s laboratory involves the assessment of iron status in female military recruits. A unique aspect of this study includes determination of the impact of iron status on both physical and cognitive performance using a variety of applied and computer-based tests. Current efforts are focused on the development of nutritional interventions for the maintenance of iron status during military training. He received his B.S. and M.S. from the University of New Hampshire and his Ph.D. from Cornell University. Mara Schenker, MD is a clinician-scientist at Emory University. Her clinical practice is in orthopaedic trauma at Grady Memorial Hospital, and her interests include complex periarticular trauma, infection, nonunion, and malunion. Dr. Schenker performs approximately 600 complex trauma surgeries per year. Her research interests include host factors associated with delayed fracture healing (nutrition, infection, frailty, and others). At Emory, we have an interdisciplinary approach, and the research is being conducted at Grady, Emory, and Georgia Institute of Technology. Additional research interests include optimization of resident education. Dr. Barrett is the Theodora Ayer Randolph Professor of Equine Surgery at Virginia Tech’s Marion duPont Scott Equine Medical Center. She received her doctorate in molecular and cell biology from Yale University in 1999 and her doctor of veterinary medicine degree from Cornell University in 2002. Further training included an internship in equine medicine and surgery at Rood & Riddle Equine Hospital in Lexington, Kentucky, residency in equine surgery at the University of Illinois in Urbana, and postdoctoral orthopedic research position at the University of Wisconsin in Madison. Dr. Barrett joined the Marion duPont Scott Equine Medical Center’s faculty in August 2007 and achieved Diplomate status through the American College of Veterinary Surgeons in 2008 and the American College of Veterinary Sports Medicine and Rehabilitation in 2013. She is a member of the American Veterinary Medical Association, the American Association of Equine Practitioners, the Veterinary Orthopedic Society, the Orthopaedic Research Society, the Tissue Engineering and Regenerative Medicine International Society, and the Phi Zeta Honor Society. She is a founding director of the North American Veterinary Regenerative Medicine Association and is Chief Editor of the Veterinary Regenerative Medicine specialty section in the Frontiers in Veterinary Science journal. Her research interests include tendon, ligament, and cartilage healing, stem cell and platelet rich plasma therapies, and tissue regeneration. She established the Regenerative Medicine Service at the EMC, which offers stem cell treatment and platelet rich plasma therapy to patients at the EMC and beyond. Her clinical interests include sports medicine, lameness, diagnostic imaging, and orthopedic surgery. Dr. Bogers developed a strong interest in animal athletes during her childhood in New Zealand. She received her veterinary degree from Massey University, New Zealand and then completed an internship and internal medicine fellowship at Hagyard Equine Medical Institute in Kentucky. Her experiences in the Thoroughbred capital of the world spurred her to investigate physiologic and pathologic bone density alterations in Thoroughbred racehorses as part of her Master’s degree at Massey University. She completed a three-year residency-training program in equine surgery at Marion duPont Scott Equine Medical Center, followed by a two-year fellowship in emergency surgery and critical care and became a diplomate of the American College of Veterinary Surgeons (Large Animal) in 2016. Dr Bogers has completed a PhD that developed a proprietary technique of stem cell culture to increase anti-inflammatory properties of equine bone marrow derived stem cells for amelioration of synovitis and osteoarthritis. She is a proponent of One Health and hopes to continue to benefit both animal and human health through regenerative medicine research and clinical veterinary applications. Dr. Yousefian has been recognized by his peers as an expert in his field. He has been providing cutting-edge diagnosis, prevention and comprehensive treatment for health conscious individuals with complex issues including; bite problems, TMJ-related jaw pain and headaches, snoring and sleep apnea and facial aging for over 23 years. He is a Diplomate of the American Board of Orthodontics. 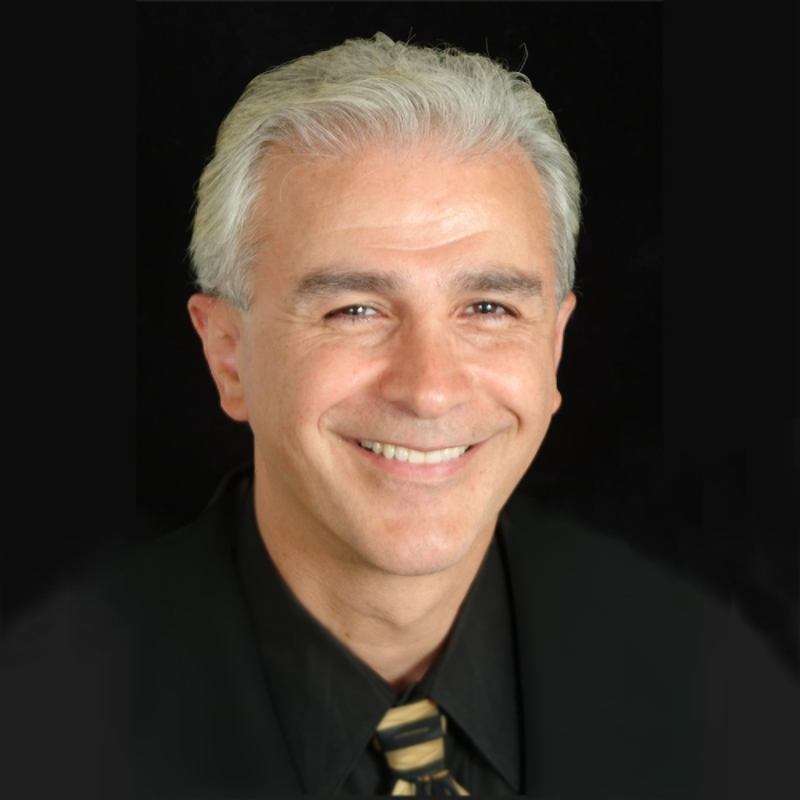 Dr. Yousefian obtained his degree in dentistry from Washington University in St. Louis in 1987, and completed three years of post-graduate training in orthodontics at Ohio State University in 1991. He received dual Masters of Science Degree in Biology and Physical Anthropology. Dr. Yousefian has served as a Clinical Assistant Professor and Orthodontic Research Associate at Ohio State University and the University of Washington Department of Pediatrics and Orthodontics. He is actively involved with several research projects including; a National Institutes of Health funded project in collaboration with the University of Washington and other universities across the United States and Canada. He is an active lecturer nationally and internationally to universities, dental and medical societies and study clubs. He has contributed more than 30 publications and chapters in refereed scientific journals and textbooks. His innovative approach to treatment of TMD and sleep apnea has been taught to the dental and medical practitioners in his study clubs called “Comprehensive Treatment Seminars.” He has been invited to numerous local and international meetings as well as TV health programs, to present his experience with this new integrative medical/dental treatment paradigm "Teledontics". You can find this material and patients’ testimonials on our website www.dryousefian.com. Dr. Yousefian is a consultant to several dental and orthodontic companies and is recognized for his innovative treatment techniques and philosophy in prevention, early diagnosis and treatment of related issues with temporomandibular disorders (TMD) and obstructive sleep apnea (OSA) in children and adults. His strategy for management of OSA, TMD and facial aging as effective medical/dental protocols for comprehensive treatment of these disorders has been published in the bestselling dental textbook “Goal-Directed Orthodontics” in 2013 and a second edition in 2015. Dr. Yousefian's passion for scientific research has won him numerous accolades, including the internationally recognized American Association of Orthodontists Award of Special Merit. Dr. Yousefian has obtained several undisputed patents on orthodontic and sleep appliances which are currently manufactured and distributed by leading orthodontic laboratories. 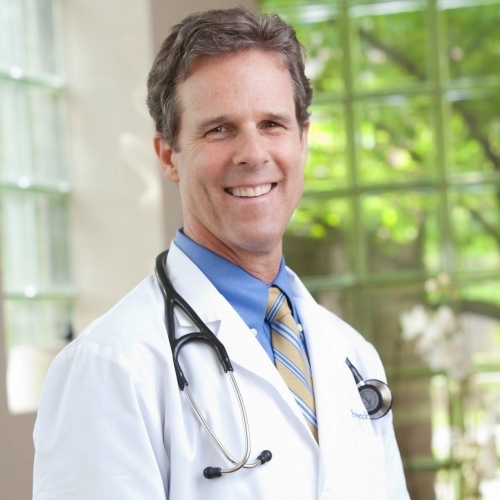 JOHN CLINE, MD is a medical doctor who utilizes an integrative approach in his practice. He obtained a BSc in Biochemistry, followed by his MD and residency training in family medicine at the University of Calgary, Alberta, Canada. Dr. Cline has a particular interest in using various detoxification strategies and has taken extra training through the American Board of Chelation Therapy and the American Academy of Neural Therapy. 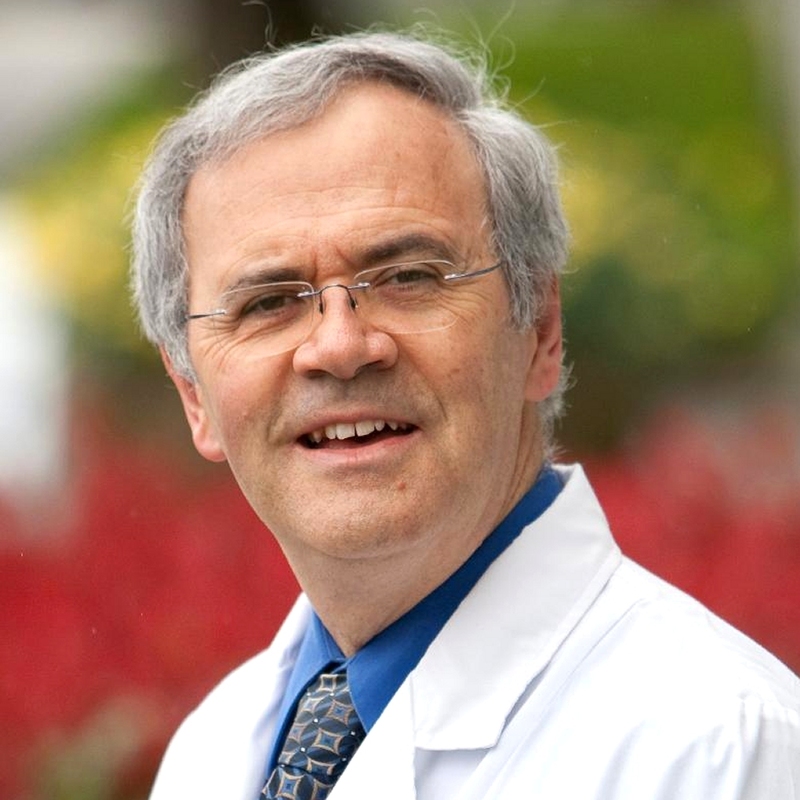 He is Medical Director of the Cline Medical Centre in Nanaimo, located on Vancouver Island, British Columbia, Canada. He has lectured extensively for the Institute for Functional Medicine and is a member of their teaching faculty. His book Detoxify for Life is a popular book summarizing various strategies for detoxification as part of a health recovery program. Dr. David C. Kennedy, a pioneering biological dentist, practiced dentistry for more than 30 years and retired in 2000 to work full-time toward improving the dental profession and public understanding of oral health. He has produced more than 30 documentaries including a recently released blockbuster documentary film about the fundamental reasons behind the 18,000 excess infant deaths annually in the United States. 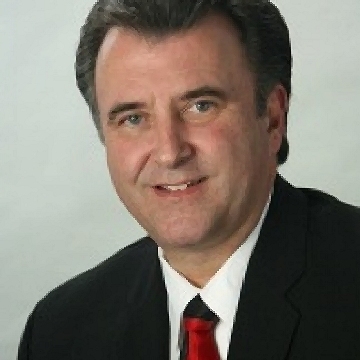 Dr. Kennedy is the Past President of the International Academy of Oral Medicine and Toxicology (www.iaomt.org), which was formed to review, support, and disseminate research on the suitability of materials and methodologies used in the dental practice. He is currently the Information Officer on fluoride for the International Academy of Oral Medicine and Toxicology. He has lectured to dentists, physicians and other health professionals all over the world on the subjects of preventive dental health, mercury toxicity, and fluoride. He is the author of the book How To Save Your Teeth With Toxic Free Preventive Dentistry that provides instruction and insight for both professionals and the layman on how to provide and receive toxic-free dentistry, Dr. Kennedy and his wife, hosted by the China Medical University and the People’s Republic of China Department of Endemic Disease Control, produced his first documentary film titled Crippling Waters on the problems of excess natural fluoride in drinking waters of China and the government’s efforts to reduce fluoride intake. His most viewed film on YouTube is Smoking Teeth = Poison Gas that highlights the 20 years of pivotal medical research funded by the International Academy of Oral Medicine and Toxicology into the impact of mercury from dental amalgams. Smoking Teeth has rapidly become a best seller for the IAOMT and the internet version is available for free viewing at www.iaomt.org. In addition, he, with the help of Michael Connett, has compiled a series of videos into a two-part DVD made for use in the home, office or play on public access TV, titled: Fluoridation, Let The Truth Be Told Parts I & II. Dr. Ritchie ShoemakerRitchie Shoemaker, M. D., is a recognized leader in patient care, research and education pioneer in the field of biotoxin related illness. While illness acquired following exposure to the interior environment of water-damaged buildings (WDB) comprises the bulk of Shoemaker’s daily practice, other illnesses caused by exposure to biologically produced toxins are quite similar in their “final common pathway.” What this means is that while the illness might begin acutely with exposure to fungi, spirochetes, apicomplexans, dinoflagellates and cyanobacteria, for example, in its chronic form, each of these illnesses has similar symptoms, lab findings, and Visual Contrast Sensitivity findings. Taken together the inflammatory illness from each of these diverse sources is known as a Chronic Inflammatory Response Syndrome. The few sentences above might make one think that the path of discovery of the complex abnormalities of innate immune physiology now confirmed to be present was simple. Frankly, none of the “players,” as one might call C4a, TGF beta-1 and MMP9 or the genetic susceptibility from the immune response genes HLA DR, was known in 1997, the first year of Shoemaker’s odyssey into the world of unusual diseases. Beginning with Pfiesteria, a dinoflagellate that killed fish and sickened over 300 people along the estuaries of the Chesapeake Bay from 1997-2001, Shoemaker has looked at multisystem, multisymptom illness with an environmental source as his “Holy Grail.” Indeed, finding the answers to countless questions raised by biotoxin illnesses has provided help, and for some, cure, with illnesses defined by symptoms alone such as fibromyalgia and Chronic Fatigue Syndrome. Shoemaker says, “I suspect that the next textbook of autoimmunity and rheumatology will be one dedicated to treating high TGF beta-1 and restoring control of T-regulatory cells. Similarly, no one will be seen for neurological deficits and pulmonary problems without consideration of nerves and lungs as targets of innate immune responses gone haywire. As it is now we see unusual cases of multiple sclerosis, idiopathic juvenile arthritis, interstitial lung disease and many others unveiled as treatable conditions where the therapeutic target is lack of regulation of innate immune inflammation. Dr. Shoemaker has dedicated his life and career to uncovering the link between the toxic stew found in many of our buildings and homes, and the vast amount of misdiagnosed and catch-all ailments physicians often assign patients for whom they cannot offer any real treatment. 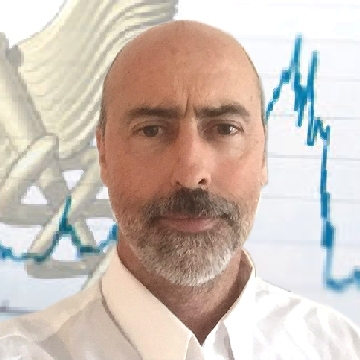 By uncovering the real science behind these illnesses, and attacking the problem with clinical studies and sound research techniques, Dr. Shoemaker leads the way in not only identifying the true cause of these afflictions, but also in curing those whom the medical community deemed incurable. He truly feels it is imperative patients educate themselves, and has committed his time and resources to providing them with the tools they need for their survival. 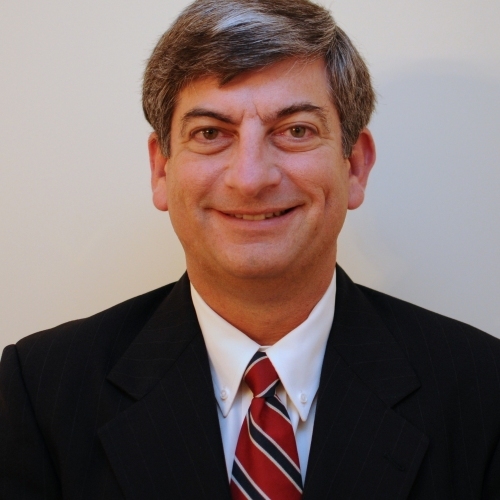 Dr. Shoemaker graduated from Duke University where he received honors in undergraduate and medical degrees. He is a practicing physician in Pocomoke City, MD, and conducts research with collaborators on an international basis. His dedication to his patients and his advancement of medicine through research has been recognized often, including receipt of the Maryland Academy of Family Practice Physician of the Year 2000 award, which was followed by an award as a finalist in the National competition for 2002. Shoemaker is asked to lecture to academic and lay audiences alike, with addresses to the US House of Representatives and Senate. Dr. Shoemaker has published eight books, the newest being Surviving Mold, and has numerous publications in scientific research journals, on audio and video tapes and in newspapers. He has made many presentations at scientific meetings, and has frequently appeared on television. 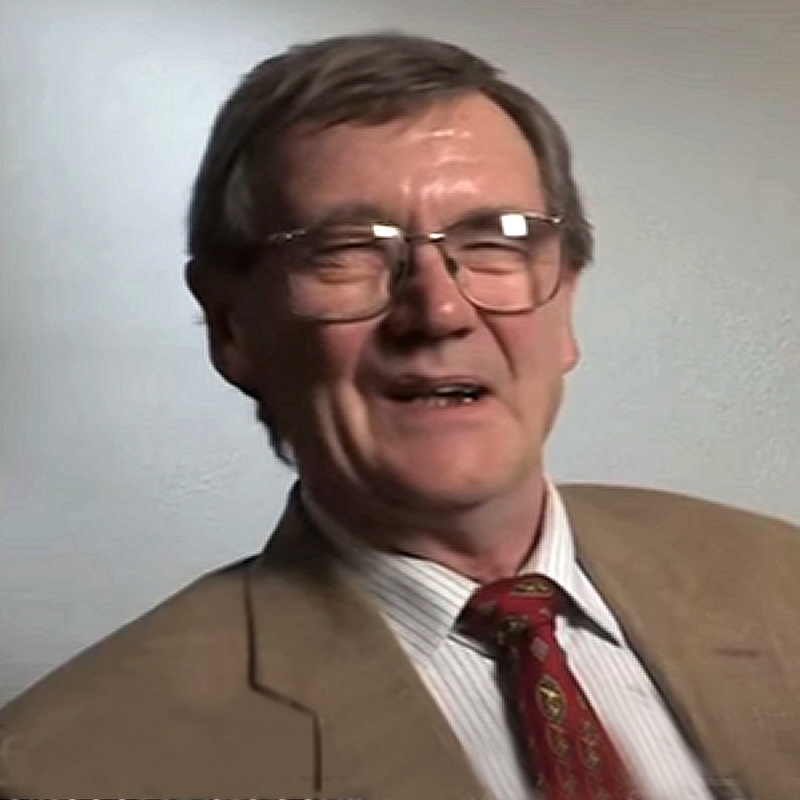 Dr. Shoemaker was the lead committee member of the July 2010 Policy Holders of America position paper – “Research Committee Report on Diagnosis and Treatment of Chronic Inflammatory Response Syndrome Caused by Exposure to the Interior Environment of Water Damaged Buildings.” This treatise is widely noted to be the most through, rigorous and transparent of all the discussions of illness from WDB. Dr. Shoemaker's lectures are known for their enthusiastic presentation of thought provoking ideas. Whether his speech is educational or motivational, he is an entertaining speaker with a stimulating approach to thinking that will challenge the listener. Shoemaker is at home when he is in the wooded wetlands of his beloved Eastern Shore of Maryland. Whether he is building Nature Trails, creating non-tidal wetlands or a demonstration tidal wetland garden for the Town of Pocomoke City, Maryland, he is fond of a hammer and a shovel. Shoemaker is married to JoAnn Jasinski, his bride of nearly thirty years, a long-time pre school educator. Their daughter, Sally, is following her own path in life as a teacher in environmental sciences. 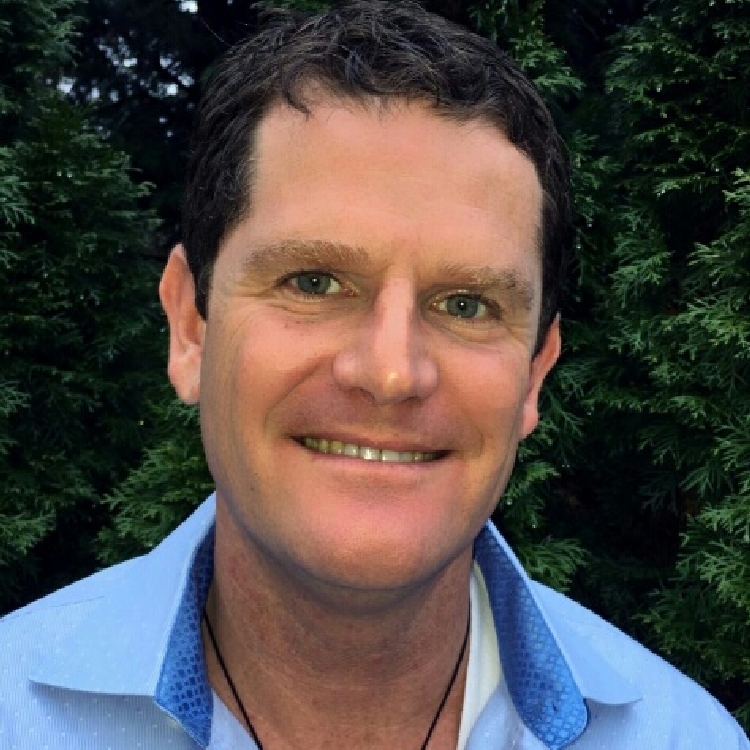 James Ryan, PhD is a Clinical Research Scientist, focused on diagnostic tools and therapies for chronic inflammation initiated by a wide variety of biotoxins, such as Lyme disease, ciguatera fish poisoning, sick building syndrome and others. He is a graduate of the Medical University of South Carolina and holds Bachelor’s degrees in biology, chemistry and physics. He is a co-founder in the medical diagnostics company, Progene DX, LLC, using cutting edge genomic technologies to identify pathophysiology in a personalized medicine setting. 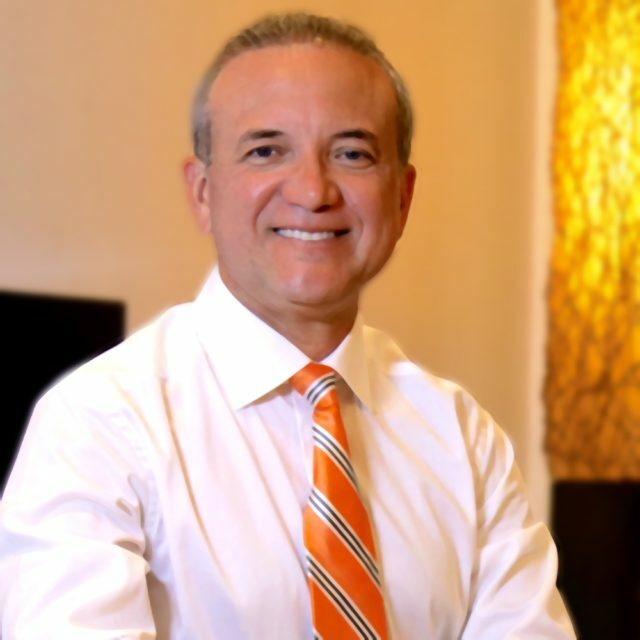 Dr. Muñoz has been in the Aventura, Florida area for over 25 years and is highly regarded by his colleagues and patients. The Oasis Institute (click to visit the website) is a state of the art 5 star facility offering access to hand chosen highly respected practitioners, many of whom are leaders in their respective fields, offering an integrative Multi-Disciplinary Team Approach. 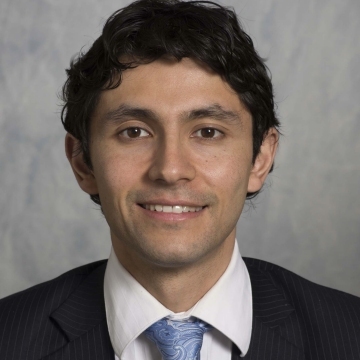 Dr Muñoz is a Board Certified Internist and Board Certified Rheumatologist. He completed a post-doctoral Fellowship in Integrative Medicine (2006-2008), taught by the World Class faculty at the prestigious University of Arizona Center for Integrative Medicine, founded by Andrew Weil, MD. He is the first known Integrative Rheumatology fellow trained in the United States and personally possesses a wide skill set of trainings including TCM (Traditional Chinese Medicine-Acupuncture), Homeopathy, Energy Medicine and martial arts disciplines. Dr. Muñoz is a world class renaissance type of practitioner bridging the worlds of esteemed traditional institutions as a Harvard trained Rheumatologist to the wild Amazon jungles and untamed Andes. Trainings and indigenous Peruvian, Ecuadorian and North American shamanic healers in their approaches to health, healing, energy medicine and mythology form the basis of his medical anthropology background and skill set available to his patients. He is a national speaker on topics including nutrition, arthritis and inflammation. He is a futurist, with visionary personal, community and global goals relating to health and balance in these spheres. As a martial artist and energy master, he blends the conventional with non-traditional experiential universal knowledge base to elicit the best possible outcomes for his patients. 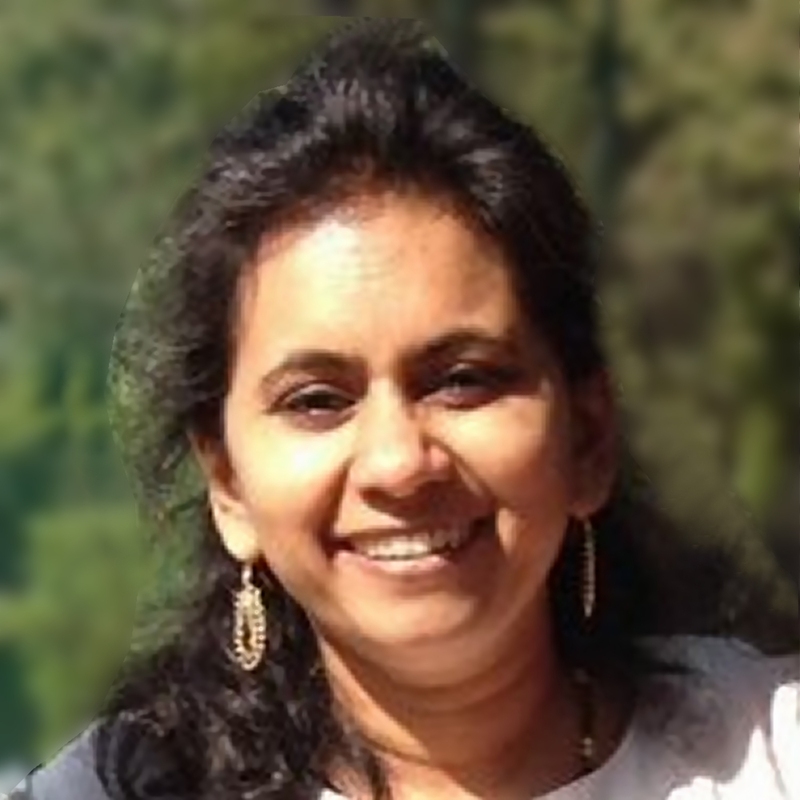 Jayshree Mani works alongside Russ Jaffee, MD as a clinical nutrition specialist at Perque, LLC in Virginia. Jacob M. Wilson, MD is one of two recipients of the Armand J. Quick Award for Outstanding Senior Medical Students in Biochemistry. In 2013 during his M2 year, Dr. Wilson joined the lab of Dr. T. Clark Gamblin and Dr. Muthusamy Kunnimalaiyaan to participate in research studying cholangiocarcinoma. 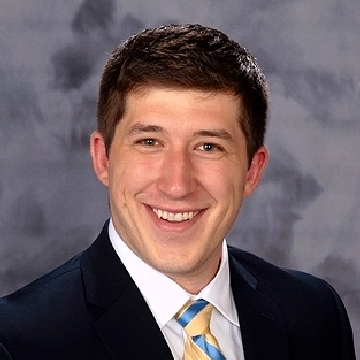 His work was completed as part of the MCW Medical Student Summer Research Program, Physician Scientist Pathway, and was funded in part by the national Carolyn L. Kuckein Student Research Fellowship Award, presented by the AOA. Work was also funded by the Jack H. Stein Memorial Research Program which is focused on cholangiocarcinoma. Dr. Wilson’s research in the Surgical Oncology Lab resulted in numerous publications, presentations at the local, national, and international level, as well as an MCW research award. Dr. Wilson currently is a resident training in Orthopedic Surgery at Emory University. Xaviour Walker MD, MPH, DTMH is board certified in internal medicine, public health and preventive medicine, and also board-eligible in geriatric medicine. He is passionate about improving people's health and wellbeing through lifestyle and personal development along with improving the built environment. A life long athlete, Dr. Walker has played represented his home state (province) in New Zealand in athletics, cricket and soccer, including playing international age group soccer against Paraguay, Newcastle United and has trained at the Liverpool academy. A top ranked marathoner; he has completed over 15 marathons including Boston marathon six times and NYC marathon five times with a best time of 2 hour 36 minutes. Dr. Walker obtained his medical degree in New Zealand, working in both New Zealand and Australia. He then did his internal medicine residency at Mount Auburn Hospital, Harvard Medical School in Cambridge, Boston where he was also chief resident, medical education fellow, and an academic hospitalist. He did his public health and preventive medicine residency at Johns Hopkins Bloomberg School of Public Health, where he also received his Masters in Public Health. During this time he gained experience at the city, state, federal levels working at Baltimore Health Department, Maryland Department of Health and Hygiene and as a fellow at National Institute of Allergy and Infectious Diseases, NIH and also worked in occupational and travel medicine at GSK. He has a Diploma in a Tropical Medicine and Hygiene from the renowned Gorgas Institute in Peru and has traveled to over 50 countries. Dr. Walker is involved in medical advocacy and policy and was the cofounder and inaugural chair of the Junior Doctors Network, World Medical Association. He has just his fellowship in geriatrics at the University of California Irvine and currently lives in Irvine with his wife and two children. 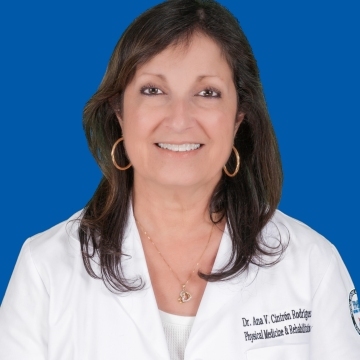 Dr. Ana V. Cintron is a Board-Certified Physiatrist currently working as Attending Physician in the VA Caribbean Healthcare System, in San Juan, Puerto Rico. She received her medical degree in the University of Puerto Rico School of Medicine, completed her Internship Program (Internal Medicine) in St. Luke’s Hospital, Washington University in St. Louis, and her Residency Program in Physical Medicine & Rehabilitation in the VA Caribbean Healthcare System in San Juan, Puerto Rico. For the past 22 years she has been an Assistant Professor of the Department of Physical Medicine, Rehabilitation & Sports Medicine of the University Of Puerto Rico School Of Medicine. 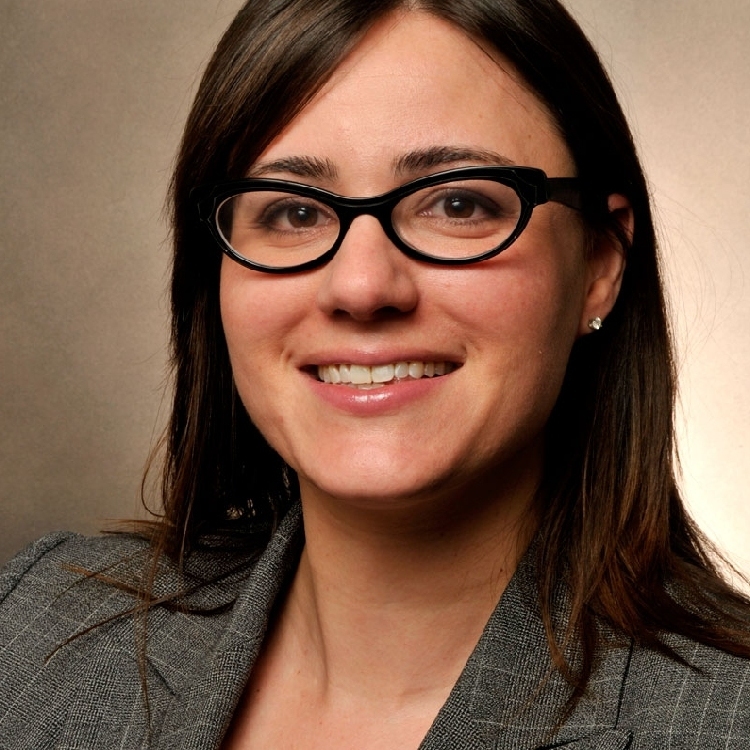 She has remained active in academic medicine, serving as PM&R Residency Program Director from 2006-2015. Dr. Cintron’s areas of expertise are Amputation Rehabilitation and Sports Medicine. She has been the Chair for the Amputation Care Clinics since 2003 and Medical Director for the San Juan VA Polytrauma Amputation Network System since 2013. She has also dedicated her practice to the field of Sports Medicine, being a member of the Executive Board of the Puerto Rico Sports Medicine Federation for more than 15 years, serving as President from 2011 to 2015. She worked directly with the PR Olympic Committee Track & Field Federation, as member of the Technical Committee and Vice-President for Women’s Track & Field Affairs from 2004-2008. She has served as part of the Medical Committee of several Track & Field organizations including the International Amateur Athletic Federation (IAAF) (1996-2002), Central American & Caribbean Athletic Confederation (2002-present) and is the current chair for the Scientific Committee of the Pan-American Confederation of Sports Medicine. Dr. Cintrón has also served as Medical Director of multiple National & International meets, including the yearly PR Inter-collegiate Sports Festival and the 2010 Central American & Caribbean Games celebrated in Mayaguez, PR. She has been one of the Team Physicians for the Puerto Rico National Team in international meets including Central American, Pan-American and recently the 2016 Rio Olympic Games. 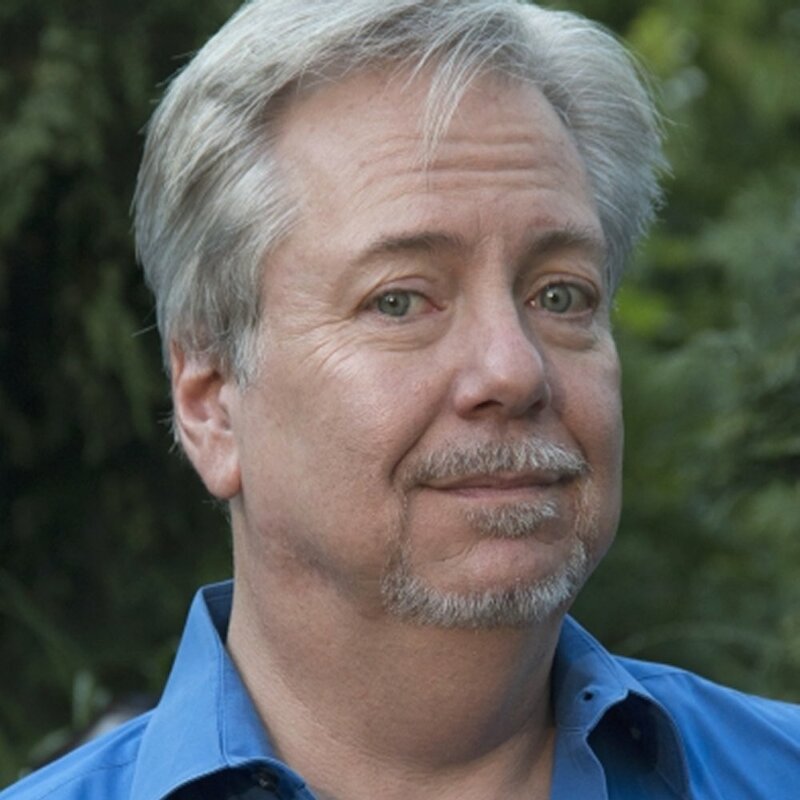 Richard D. Batson is a Licensed Naturopathic Physician in the state of Washington and a board certified diplomat in anti-aging and regenerative Medicine. He is the co-founder and medical director of Neurevolution Medicine, LLC, an personalized medicine clinic dedicated to improving mood, cognition and hormonal health across diverse populations via non-invasive, conventional, complimentary and alternative medical care. Dr. Batson’s practice focuses on the personalized treatment of ADHD/ADD, anxiety, depression, memory loss, mild traumatic brain injury (mTBI), cognitive decline and cognitive performance, hormonal health, and age management healthcare; the early detection, prevention, treatment and reversal of age-related health decline. Dr. Batson utilizes a variety of treatment methods including metabolic and nutritional medicine, individualized and condition-specific nutrient therapy, brain- targeted nutrient therapy, botanical medicine, hormone therapy, pharmacotherapy, biofeedback, neurofeedback, hyperbaric oxygen therapy (HBOT) and cognitive training. Dr. Batson is the recipient of the Natural Standard Research Collaboration Award for excellence in multidisciplinary, evidence-based research practices, healthcare communications and information (2012). 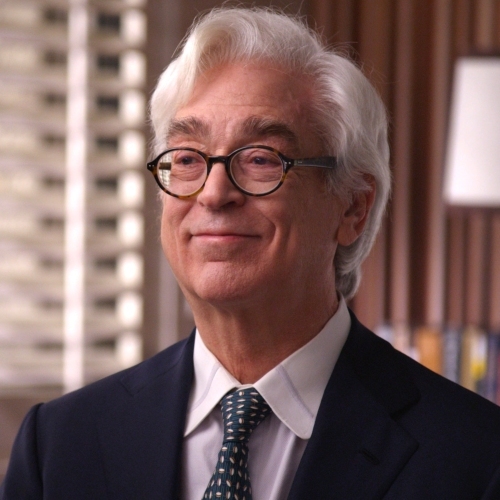 His interest lies in the critical evaluation of medical decision making in conventional, complimentary and alternative medical practice, and is an advocate for evidence-informed inclusive medicine: the practice of medicine which affords equal consideration of available scientific evidence across various treatment modalities with the aim of providing the most-effective and least invasive therapeutic interventions.